Saudi Madad Healthcare Co. Ltd. is the latest business line of AMI Saudi Arabia Ltd. Specialized in consumer healthcare Products Nutraceuticals, Pharmaceuticals and Medical devices, extensively supported with a strong ﬁnancial entity, Xenel group (over 20 successful launched companies in Saudi Arabia). 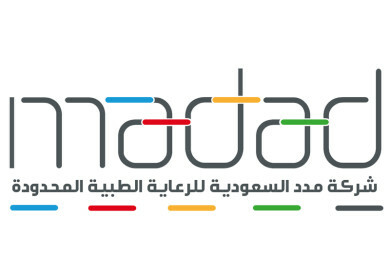 MADAD is bringing every innovation to the ME healthcare market from Herbal Products, Food Supplements to Pharmaceutical products and Medical devices. We humbly want to start a partnership with your establishment and open an account. We assure you that you will be satisfied with our products. One of our team will be ready to help you out with explaining about the products and will help you with Sales and operational procedures. We are very anxious to develop a relationship with you and we would be grateful for any opportunity to enable us to earn your confidence in our services. We can assure you that your business is very meaningful to our office and will receive the highest degree of attention and that your confidence in us will not be misplaced.